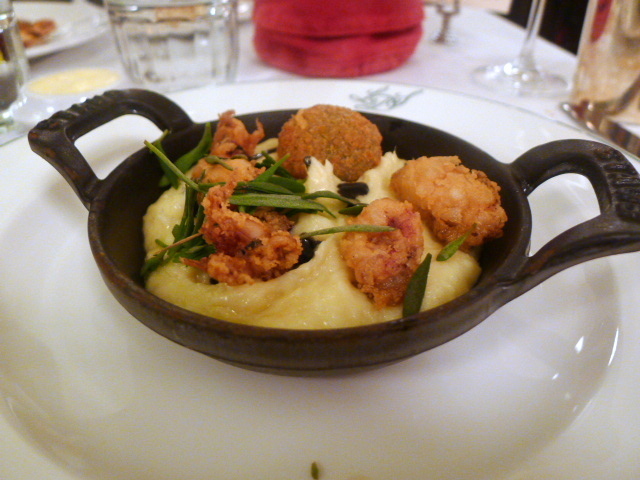 Warm salt cod brandade (£8.95), a mixture of flaked cod with mashed potato was creamy and flavoursome. It was topped with deep fried (and not sautéed as stated on the menu) young squid, and a parsley cromesqui, a deep fried ball of crumbed parsley purée. Disappointingly, the cromesqui was not heated through properly and was cold at its core despite being crunchy on the outside. The combination of flavours worked well but left quite a dry effect on the palate. Roast cod (£22.50) was nicely cooked and moist. 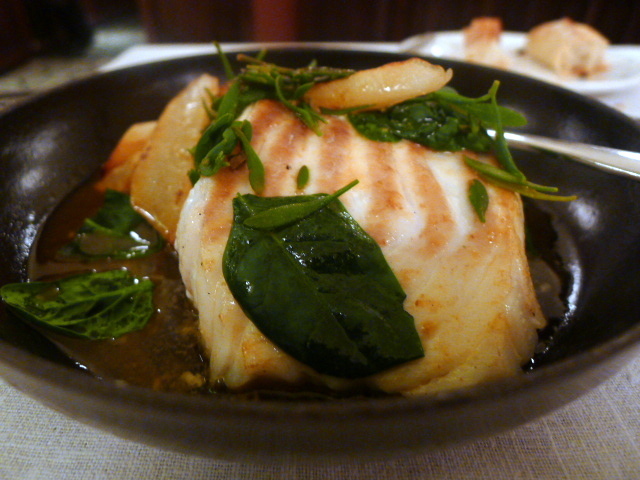 It came with some slow cooked onions with sage and glazed salsify, both of which worked well with the fish. A pleasant and tasty dish, it was nevertheless unremarkable, something that could easily be replicated at home. A main of slow cooked ox cheek (£17.95) was meltingly tender. It was tasty enough, but there was not enough richness or depth of flavour in the cheek. The accompanying parsnip purée was creamy and sweet, but perhaps a touch too buttery. 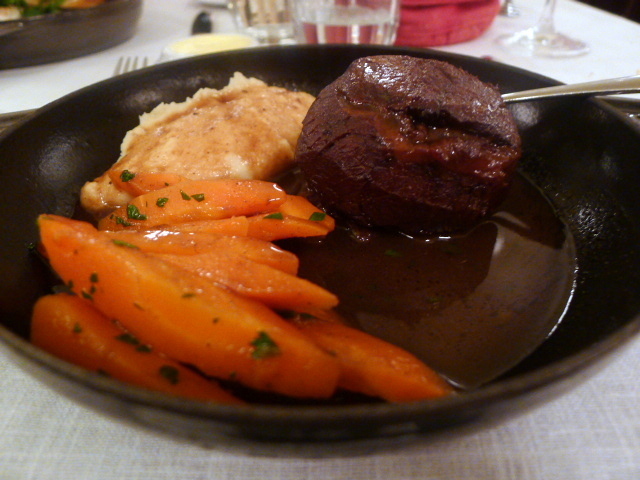 There was also a nice reduction of red wine and port, but the carrots were rather bland. All things considered, £17.95 was a hefty price tag for a dully presented piece of ox cheek, two veg and some sauce. 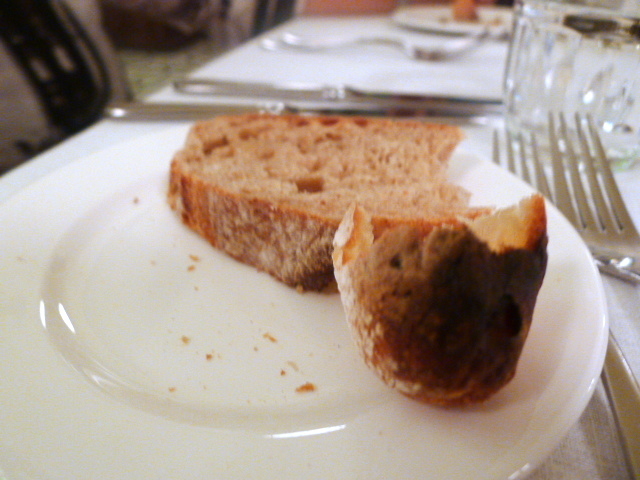 Breads included a combination of white, brown, etc and were disappointing. They were a little chewy, and the crusts were not crunchy either. But the killer punch was the burnt bit which should have never made it into our bread basket in the first place (see picture below). 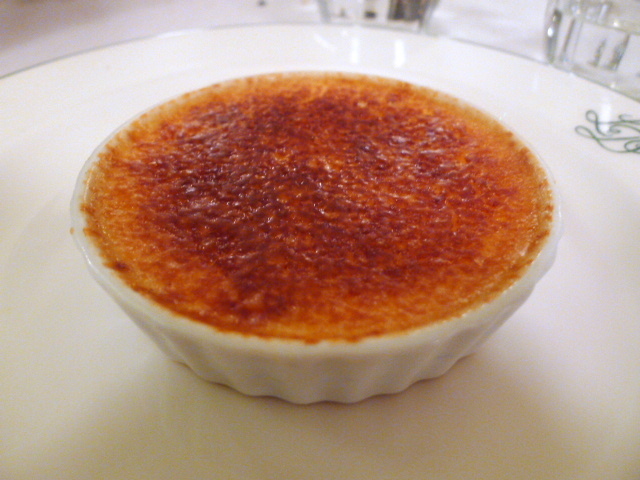 A classic vanilla crème brûlée (£5.50) had not been set properly. It was runny in texture which was a shame as it tasted delightful and heavenly. 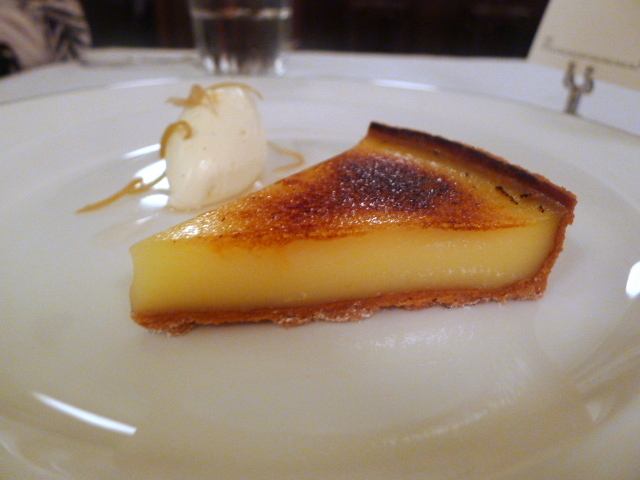 A glazed lemon tart with crème Chantilly (£5.50) boasted of a tangy, zingy lemon filling and a pastry that was nice and thin. 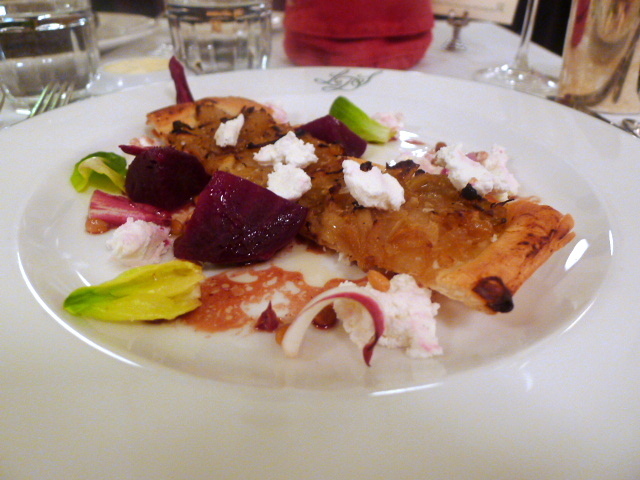 This was a very good tart. The service was pleasant but became more manic when the restaurant got busier. The stress of the waiters became evident when they started to avoid eye contact with us. The food service was also uneven and extremely slow at times. The restaurant has a two hour turnover time on tables, but our meal lasted for almost three hours. It’s well and good for a restaurant to try and stipulate a time limit, but it makes a mockery of the restaurant for instigating the rule in the first place if they are the reason that you run over. To give you an idea of how slow our service was, we were charged twice for each of our mains. By the admission of the apologetic manager, this was because the front of house noticed the delay on our mains, punched our order into the system again to ‘hurry up the kitchen’ which lead to our mains doubling up on the bill. What an admission to make! Ignoring the number and types of mistakes which were quite frustrating at times, eg, burnt bread, a dessert that had not set, slow service, etc., the food was in fact quite good. Not quite as good or gastronomic as at Arbutus or Wild Honey, but tasty and comforting nonetheless. The starters were creative, the desserts showed touches of class, and the mains were cooked well, even if their composition was quite simplistic and the presentation a little lacklustre for the price charged. 150 covers is a lot of covers. The restaurant only opened last October which means its probably still finding its feet. Its far from perfect, but I have faith that Les Deux Salons will iron out its kinks over time. It already has a lovely setting, a great vibe and a fantastic West End location, so a few tweaks here and there, and it might become that quintessential ‘go-to’ West End venue. But then, judging by how packed it was when I went, it probably has developed a reputation as one already. Price range: £24 – £43 for three courses. Excludes drinks and service. I ate here recently and found the service quite erratic when they get really busy. Am waiting for the day when service has improved before I will probably make it there again over Wild Honey or Arbutus. Yeah the service was definitely erratic. On that basis, Wild Honey or Arbutus is probably the better choice. Hang in there. I hope you get a reservation if you want to try it. Ouch! I am sorry to hear about what happened to your mum! Went here for a friend’s birthday & was really disappointed after all the hype. Service wasn’t great. Our main courses arrived immediately we had finished our starters (starters were being cleared as they were serving our main courses). The rib-eye special was delicious & perfectly cooked, but we weren’t told how small the side dishes were (you have to order them separately) so we ended up with a load of meat & nothing to eat it with. Our English waiter was overbearing and a bit of a bully. We felt he really intruded on the enjoyment of our evening. Probably won’t go back.